Enlarged approximately 4 times. 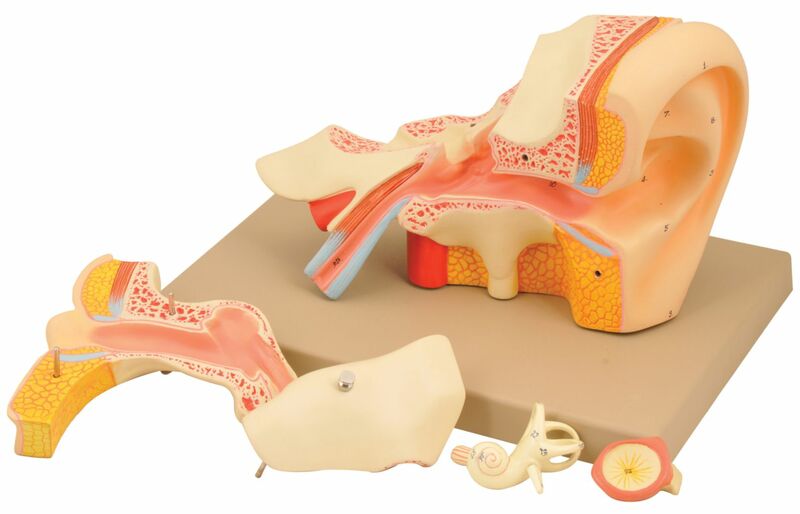 The petros portion of the temporal bone section of the auditory canal are removable, with labyrinth can be taken out and opened. 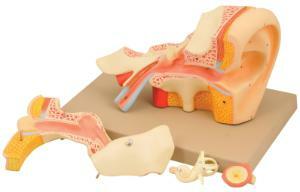 The tympanic membrane with malleus and incus can be removed in 5 parts.